…I just wanted that to be the first word associated with this cleanser. …..at the fact I’ve waited SO LONG to try it!! Vary rarely have I tried a product which I felt has lived up to the hype – But here it is, I’ve found one! When I went in to see the skincare representative from Liz Earle he told me people literally come in and say its changed there life. A bit of an exaggeration, I thought – but for people with skin troubles I can now see that would be accurate. So off I popped to purchase one, with the muslin cloths and never have I been so exited to get home and take off my make up! My skin care routine for the past ten years has been as follows; I put makeup on, I take it off with a makeup wipe, and I put on some moisturiser. (Please don’t give me that shock horror look some people give me when I say I only use make up wipes, I know now! haha) – anyway, any more than that cleansers toners blah blah blah has just made my skin go bad. To quote my mum ‘you know what our skins like – if you mess about with it too much it will mess about back!’. 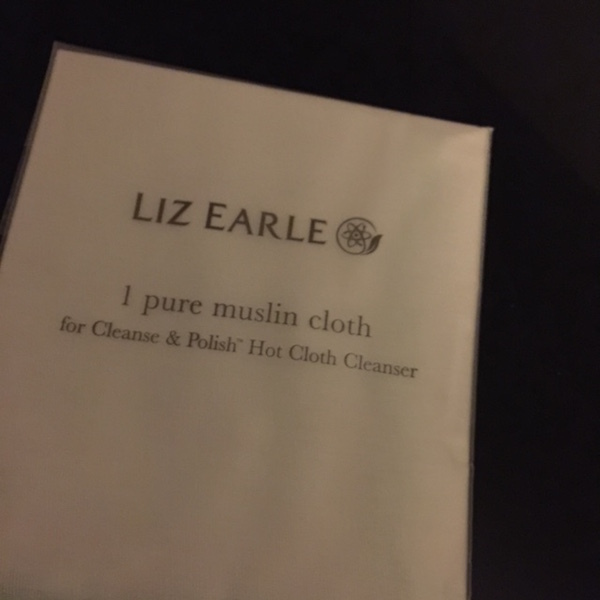 So anyway needless to say my make up wipes always sufficed and I never had a problem, UNTIL my skin of recent has been looking a bit lack lustre….In comes Liz Earle. 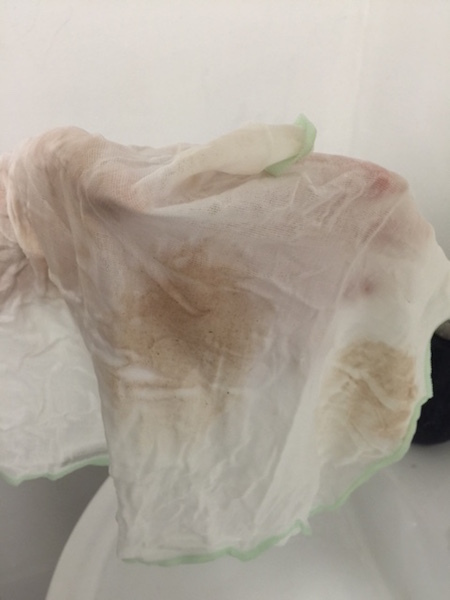 What was left on my face from BB cream AFTER a face wipe! 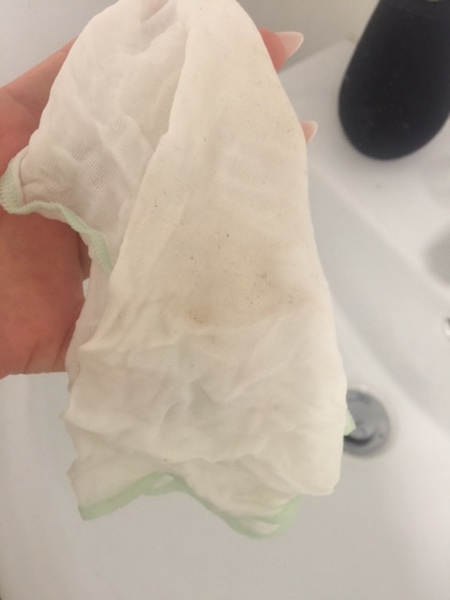 What came off when washing in the morning! As you can see it also shows what came off after just 1 nights sleep!…. ….Il update soon on my further findings! Previous Article← Blush Suede make up tutorial!